The following obituary was prepared by the deceased’s wife, Kathryn B. Omoto, and his son, Loren Omoto. Sadayoshi “Sada” Omoto, an artist and art historian, died on March 4, 2013, after a lifetime of inspiring students, artists, and friends. He was 90 years old. Omoto’s path through life brought him challenges, opportunities, and triumphs. He was a beloved husband, father, grandfather, college professor, elected official, activist and, in later years, an artist. His indomitable spirit and easygoing personality made him a friend to and role model for many. His individuality and dogged determination emerged early and were defining characteristics throughout his life. Omoto was born at Wing Point on Bainbridge Island, Washington. The island—a short ferry ride from Seattle—was an idyllic spot to grow up. As a young man he began classes at the University of Washington, but his life was changed forever on the day Japanese forces attacked Pearl Harbor. Soon after, President Franklin Delano Roosevelt signed Executive Order 9066 authorizing the United States military to relocate American citizens of Japanese ancestry from the West Coast. The first people subject to the evacuation order were Japanese Americans living on Bainbridge Island. Omoto’s family and more than two hundred other island residents were given just six days to collect what possessions they could carry and make arrangements for their property. On March 30, 1942, US soldiers carrying rifles with bayonets rounded them up and put them on a ferry to Seattle. Ultimately the family became some of the first residents at Manzanar War Relocation Center, an internment camp located in a remote area of the Southern Californian desert. At Manzanar, Omoto lived in communal barracks with his brother and widowed mother, surrounded by barbed wire, dogs, and guard towers, while his two older brothers served in the US military. The experience instilled a keen awareness of social injustice. He later made his forced relocation a “teachable moment” for his children and for hundreds of others who heard him speak or who viewed his highly personal art on the subject. Omoto left the camp to join the US Army, training as a linguist at the Military Intelligence Service Language School in Minnesota. He made his first journey to Asia while in the military. After the war, Omoto resumed his quest for a higher education—but this time in the Midwest. Omoto enrolled at Oberlin College in Ohio and earned a bachelor’s degree. He also earned a master’s degree from Michigan State University and his PhD in art history from Ohio State University. For the next forty years, Omoto taught American and Asian art history—first at Bradley College in Illinois, then at Wayne State University in Detroit, and finally at Michigan State, where he worked for thirty-three years. During his career, he served as department chair and as advisor to a minority student organization. His concern and attention to principles of justice were remembered by students long after their college careers. Omoto was the author of numerous articles in professional journals, including “Thackeray and Architectural Taste” (1967) and “The Queen Anne Style and Architectural Criticism” (1964) in the Journal of the Society of Architectural Historians; “The Sketchbooks of Worthington Whittredge” in Art Journal (1965); and “Berkley and Whittredge at Newport” in Art Quarterly (1964). He also wrote book reviews and contributed articles to the Kresge Art Center Bulletin. Under the auspices of the Bicentennial Inventory of American Paintings Executed before 1914, a program of the National Collection of Fine Arts (later renamed the Smithsonian American Art Museum), Omoto directed the inventory of early Michigan paintings. The collection of over one thousand works served as the basis for the Michigan Experience exhibition at Kresge Art Center Gallery at Michigan State in 1986, which traveled to venues throughout the state. 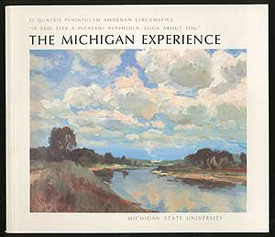 He authored exhibition catalogues for The Michigan Experience (1986, with Eldon Van Liere) and Early Michigan Paintings (1976–77). 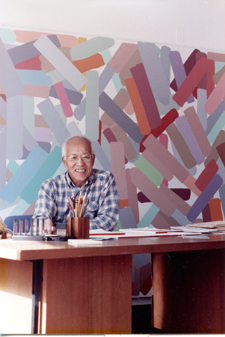 After retiring from Michigan State, Omoto returned to the northern Michigan community he had first visited as an art student during the 1950s. In Leland, he cultivated a new life focused on creativity and community service. He attended painting classes and helped to form a collective of local artists who drew inspiration from the local landscape and from each other. Omoto also helped to organize exercise classes for seniors and exhibitions of art from the past and present. With his wife Kathryn, he supported the work of the Leelanau Conservancy and other local historic-preservation efforts. Although slowed in recent years, Omoto remained a familiar sight at Leland community events, galleries, and coffee shops. His gentle humor and easy smile made him a beacon of friendliness during any season. Omoto is survived by his wife, Kathryn Bishop Omoto; his children Allen Omoto (David Robinson) of Claremont, California, Katherine (Neal) Fortin of Okemos, Michigan, Loren (Susan) Omoto of Maitland, Florida; his granddaughter Helen Fortin of Okemos; and numerous nieces and nephews. Omoto was preceded in death by his parents Daikichi and Masa Omoto; his son Roger Omoto; his brothers Masakatsu, Setsuo, and Taketo Omoto; and his sister Kanee Omoto.